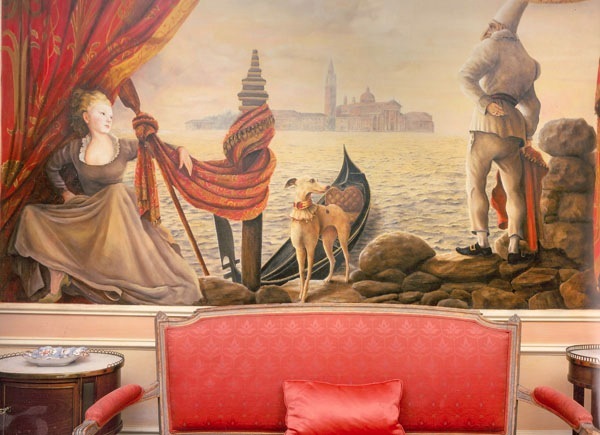 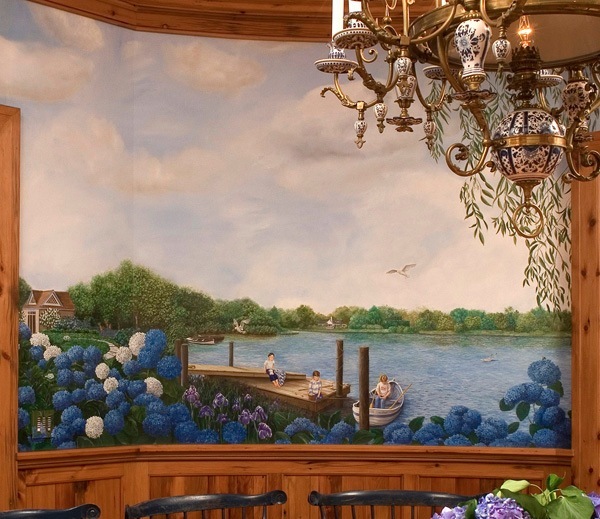 Mural for a Palm Beach dining room. 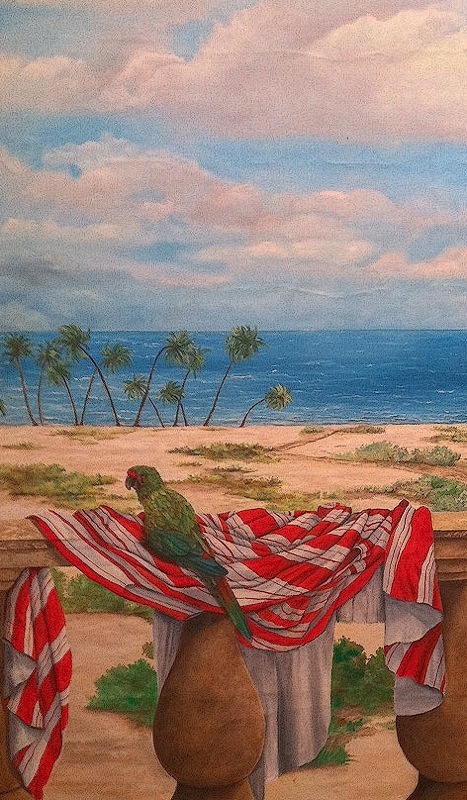 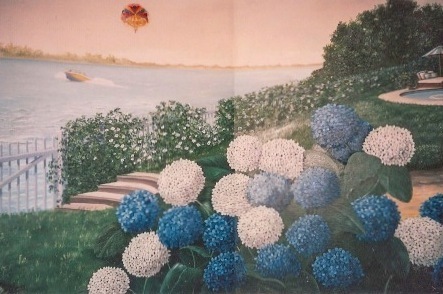 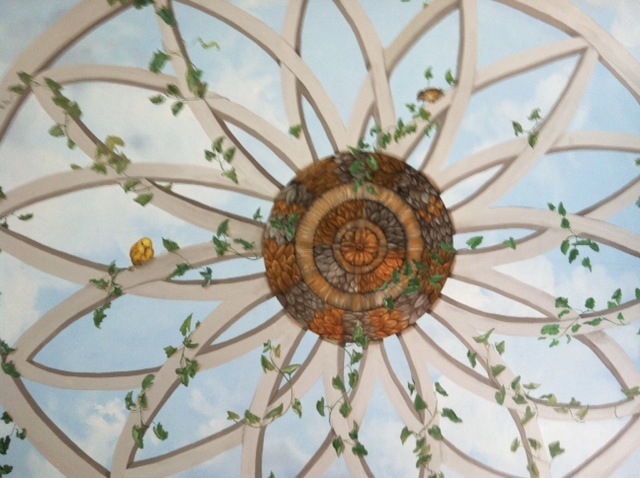 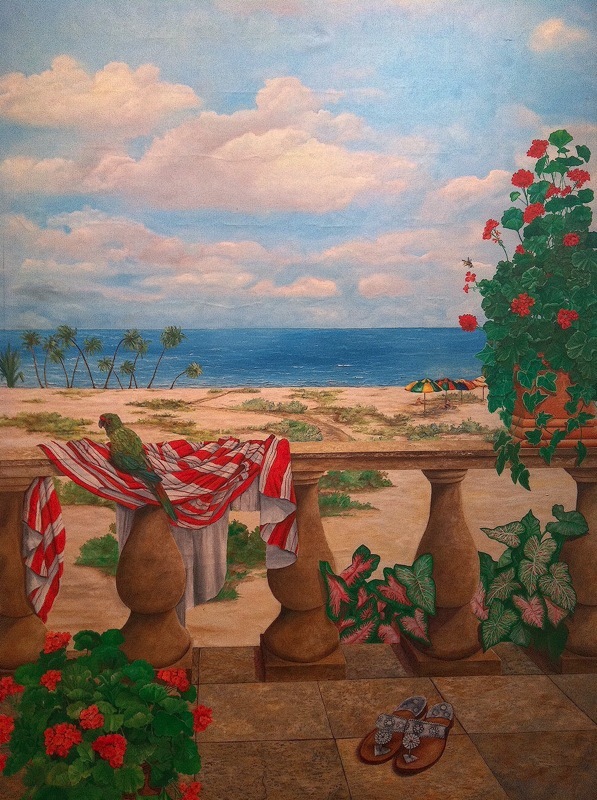 Detail of a mural for a Palm Beach dining room. 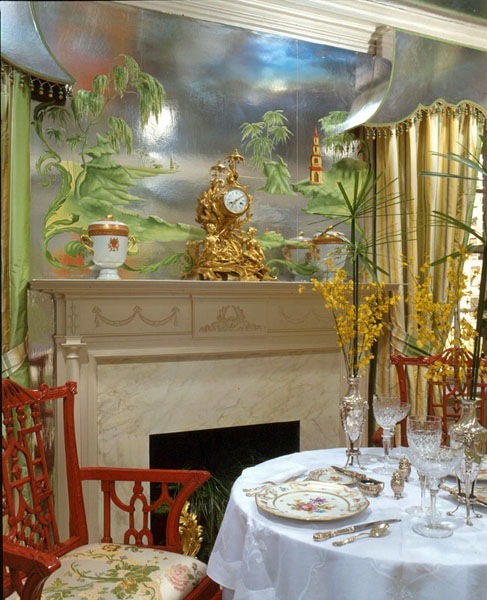 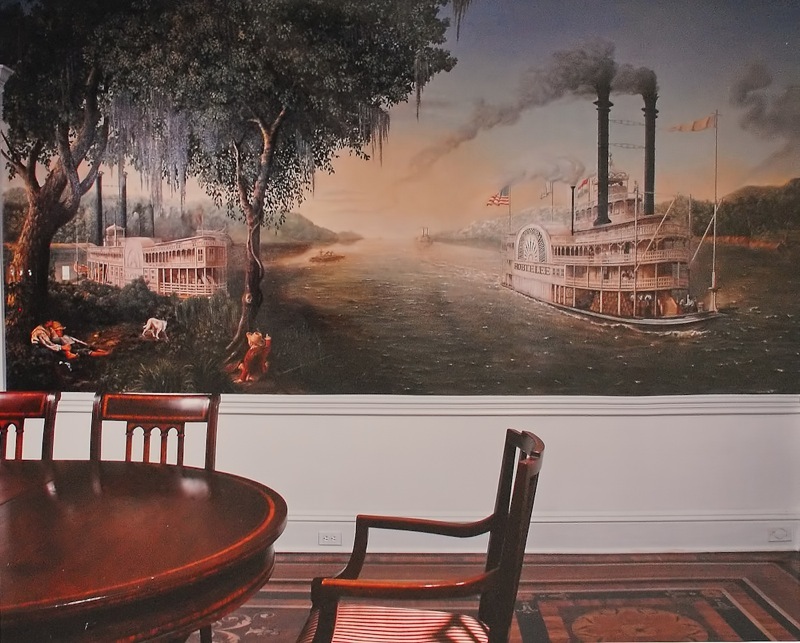 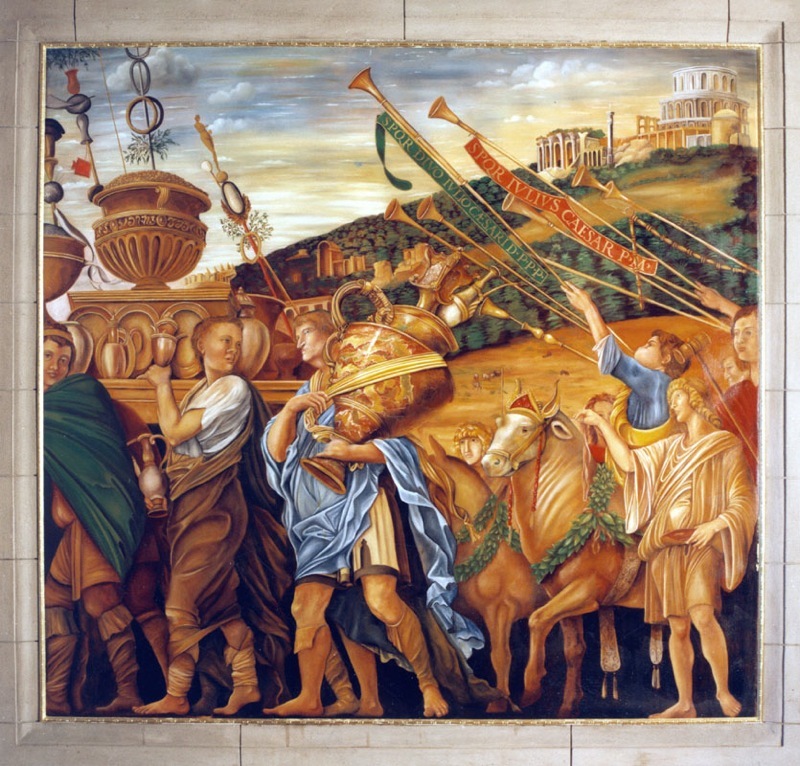 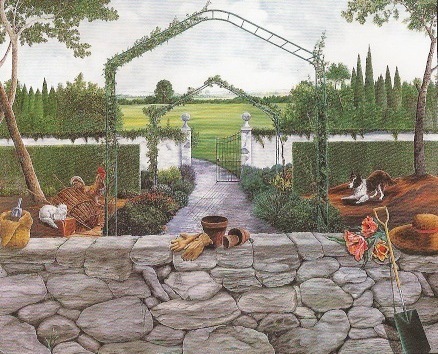 Mural for the dining room of a St. Louis home. 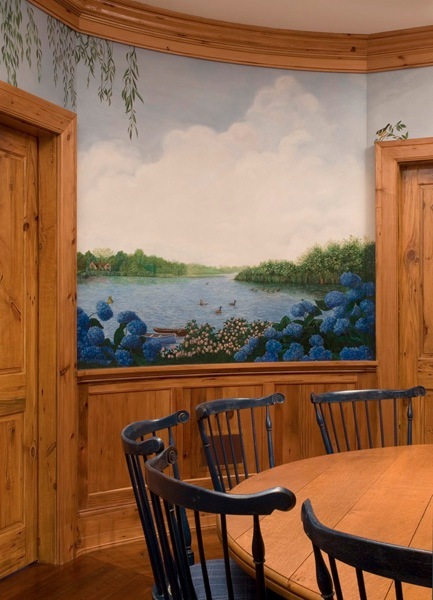 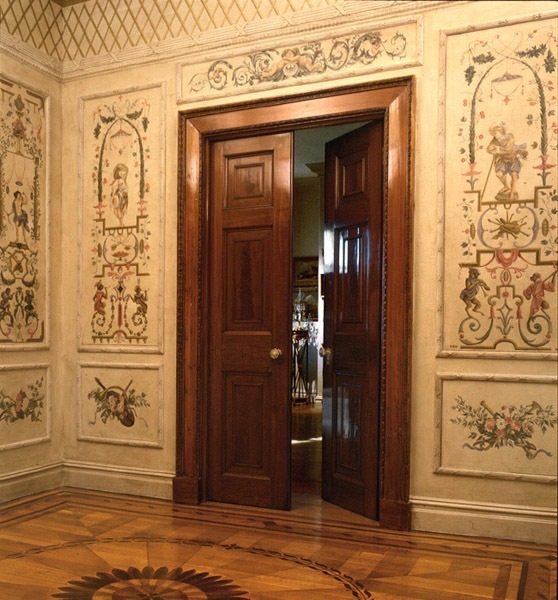 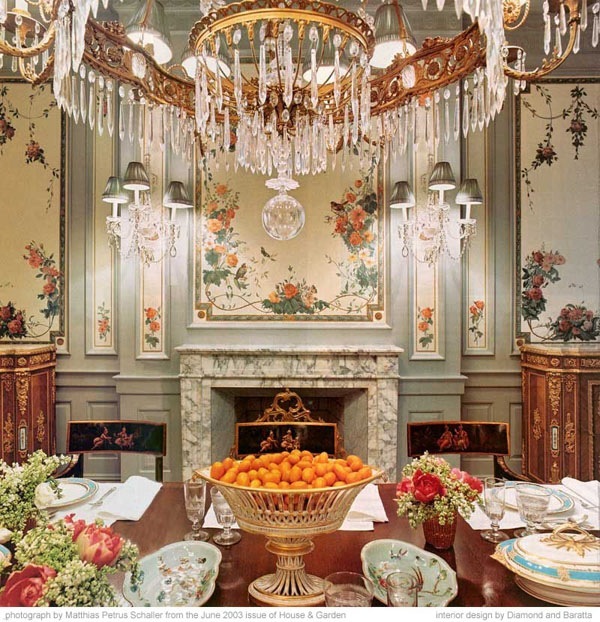 Dining room mural (New York). 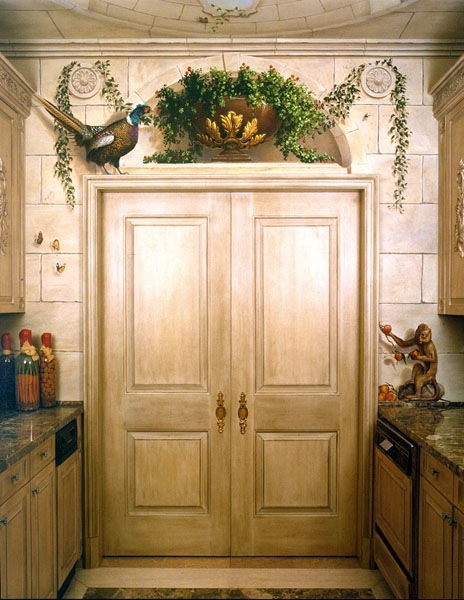 Photographs from June 2003 issue of House & Garden. 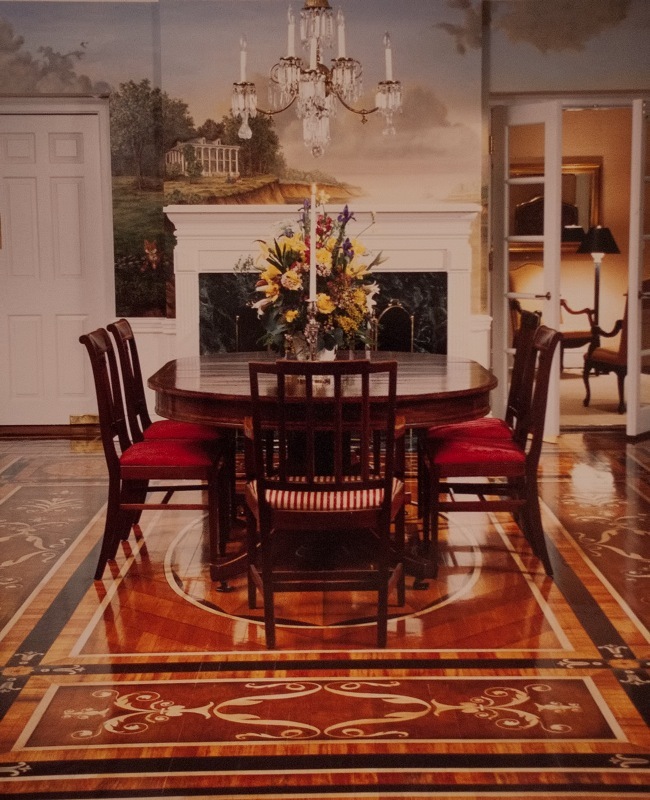 Interior design by Diamond & Baratta. 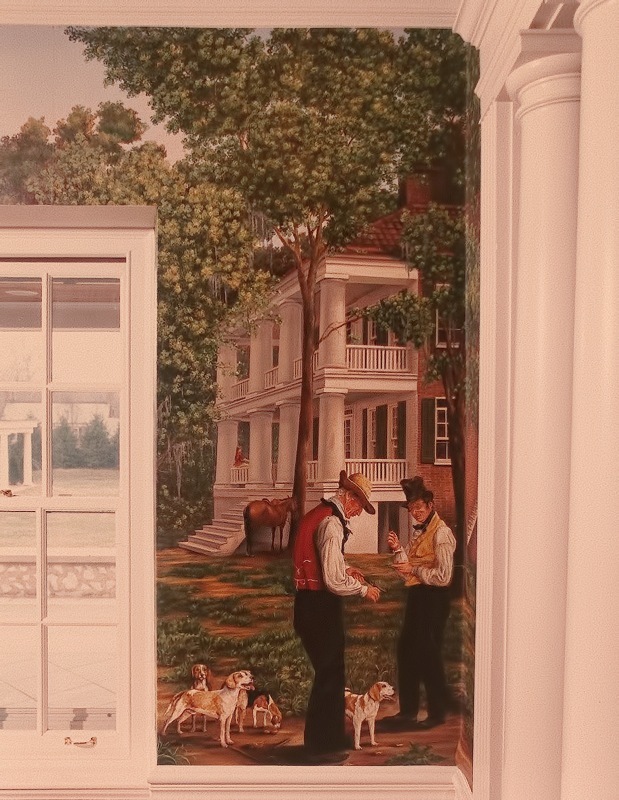 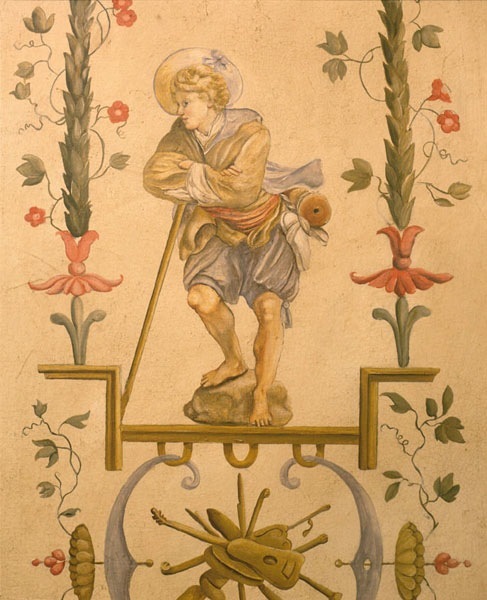 Mural for a foyer (New York, NY). 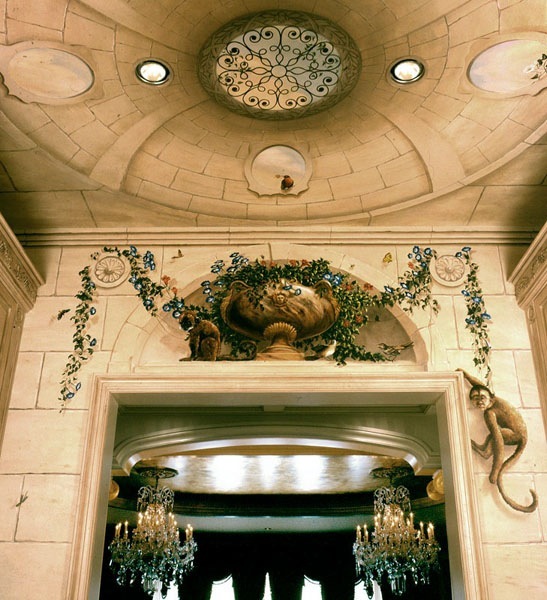 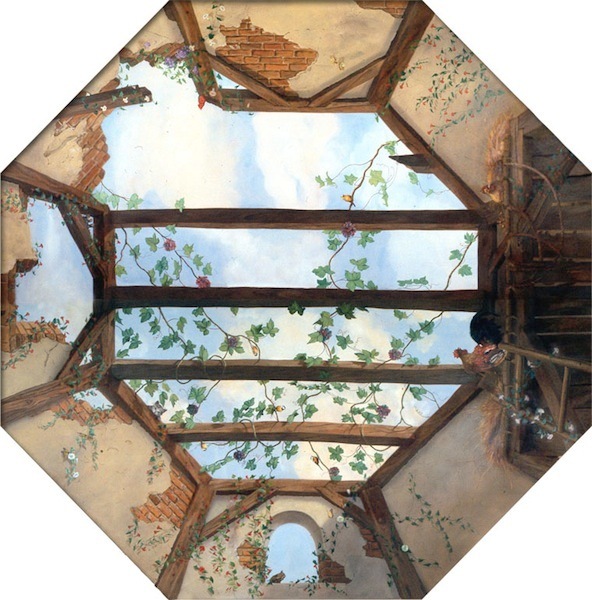 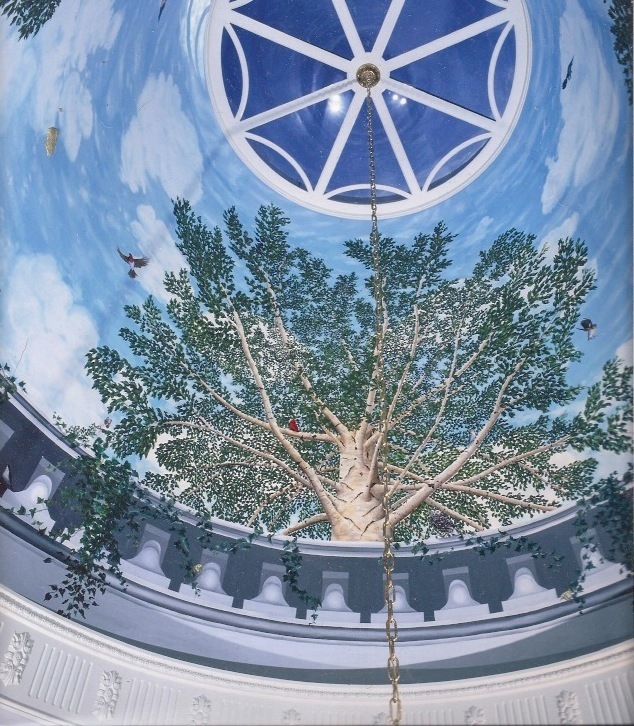 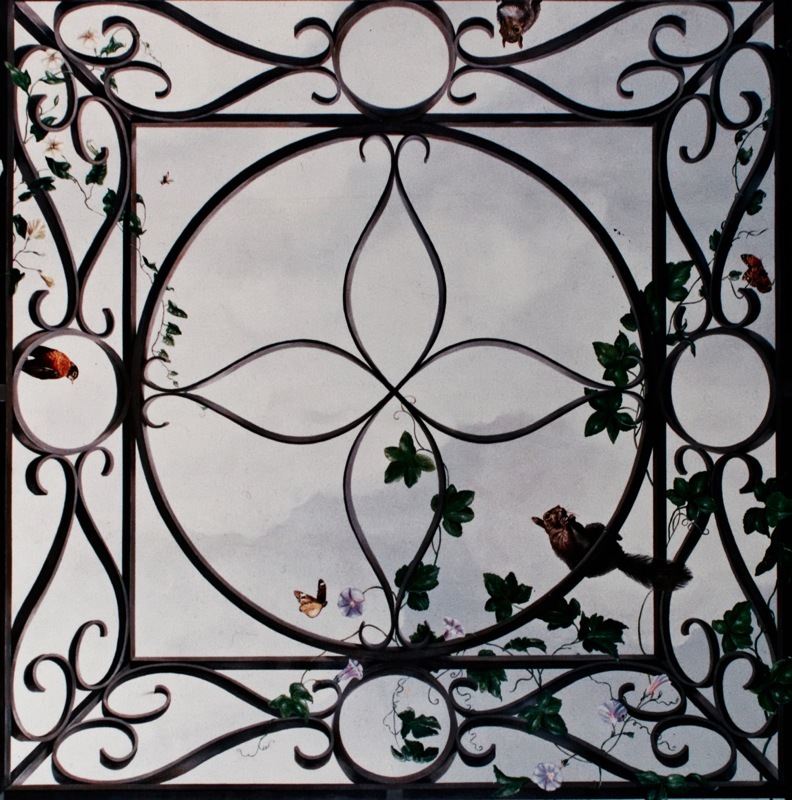 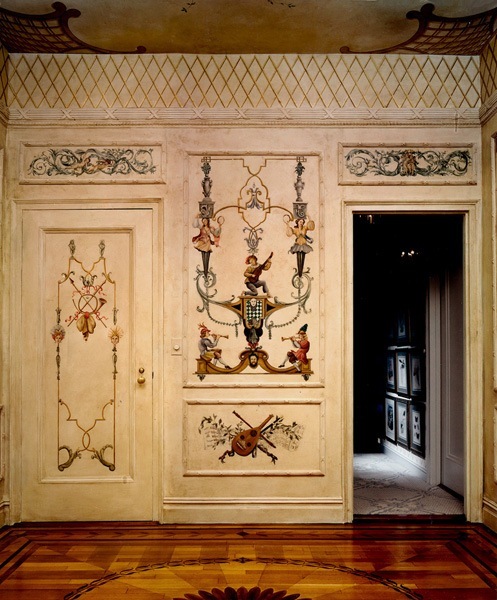 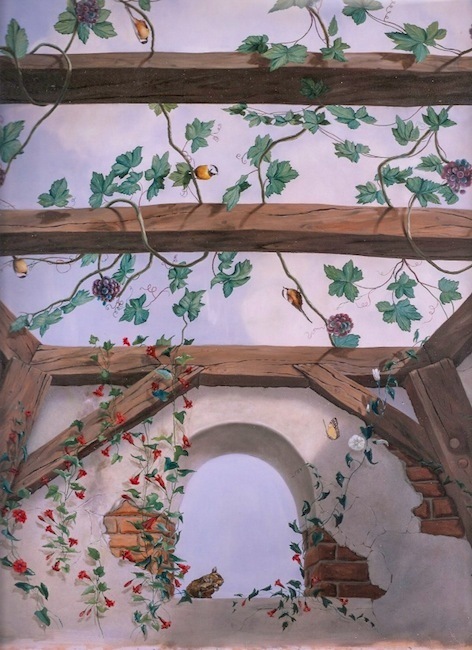 A trompe l'oeil trellis ceiling to visually extend the height of a room.